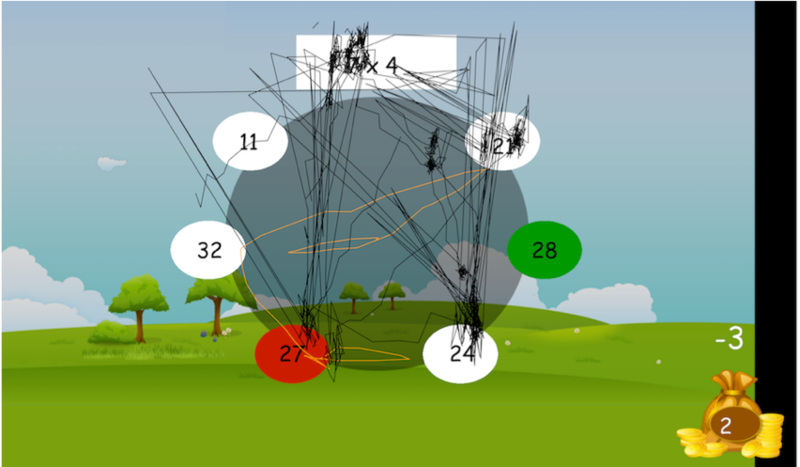 The examples below show how the eye and mouse tracking work with a real example. 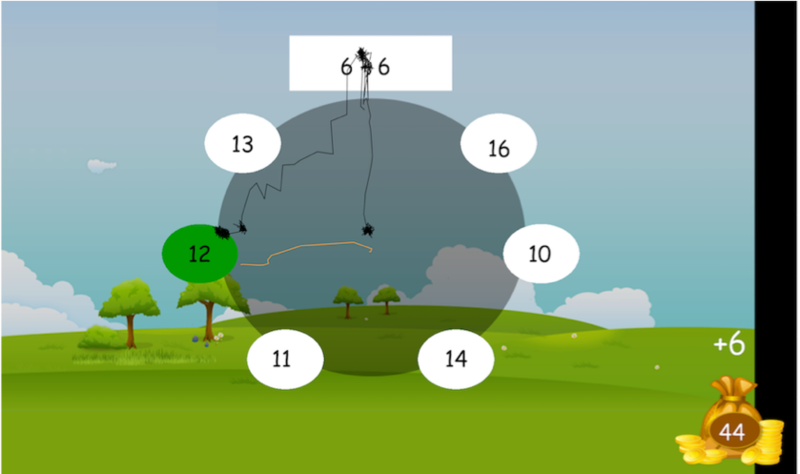 Susanne says, “While answering a maths question, we measure where the child looks on the screen and how they move their mouse, as an indirect measure of their thought process before making the choice. The figures display the eye (black line) and mouse tracking (orange line) of two opposite strategies. The first figure (6+6) suggests mental calculation where the child’s eyes have first fixated on the question, followed directly after by fixating on the correct answer. In the second example (7×4), the child alternates between the question and several possible answer options, before ultimately giving a wrong answer.